A tummy tuck (referred to as an abdominoplasty) is a surgical procedure to address excess abdominal fat and skin following pregnancy or weight loss. By removing the loose extra skin and tightening the underlying muscles, an abdominoplasty creates a flatter, more defined abdomen that fits the natural contours of your body. 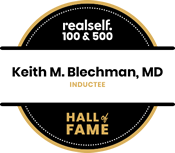 During your consultation Dr. Blechman will discuss your desires and expectations with you, and an individualized plan tailored to your needs will be explained. In general, a stable weight should be maintained for at least six months prior to surgery. For female patients, it is advised to delay surgery until after they have completed bearing children. An abdominoplasty is performed using a horizontal incision from hip to hip that is placed within the underwear line such that it is concealed when wearing most bathing suits or clothing. For female patients with a prior c-section, the scar can be incorporated within the abdominoplasty incision. An incision is also made encircling the belly button. Excess skin and fat are removed, and any separation of the abdominal musculature (referred to as a diastasis) is repaired and tightened. The skin overlying the abdomen is then stretched down so that it is flat and firm. In doing so, a new opening for the belly button must be made so that it can be placed in a natural position. Sometimes, liposuction is used in conjunction with abdominoplasty to address excess fat deposits in the flanks. In some cases, additional procedures such as a breast augmentation or a breast lift are also performed (these combinations of surgeries may be referred to as a mommy makeover). For patients with an umbilical hernia, this can often be repaired during the abdominoplasty without having to make additional incisions. An abdominoplasty takes approximately two to three hours to complete and is performed under general anesthesia. Most patients return home the same day. 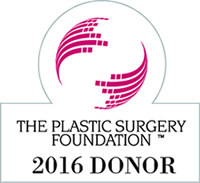 An improvement in the abdominal contour will be evident immediately after surgery. An elastic compression garment is typically worn for two to three weeks post-operatively to provide snug compression during healing. Most of the stitches are placed underneath the skin and your body will naturally break them down over time. Patients usually do not complain of significant postoperative pain but will experience a tight feeling as their body becomes accustomed to its new shape and contour. Bruising and swelling are expected and may take three to four weeks to resolve. Patients are encouraged to walk immediately after surgery, however strenuous exercise and heavy lifting should be avoided for at least six weeks following surgery. Most patients will return to work within about two weeks. Complications from abdominoplasty are uncommon. 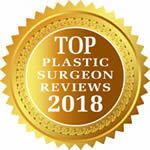 As an experienced, board-certified plastic surgeon, Dr. Blechman takes a conservative and educated approach to abdominoplasty, and will discuss in detail all the risks, alternatives, and benefits prior to performing surgery.